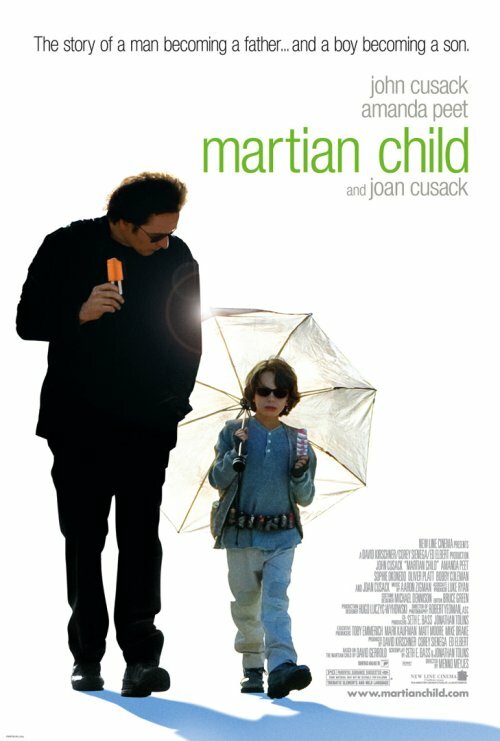 There are many similarities between this poster for Martian Child and the poster for last year’s The Pursuit of Happyness. But the one I find most remarkable is that the two posters use a fake looking flare effect between the two actors. Weird. And I didn’t like it them, still don’t like it now. Besides that, I do like the poster, and for much of the same reasons that I liked the poster for Pursuit. It shows the characters acting naturally and not in some forced pose. And because of that their interaction sheds some light into what their relationship is like, which makes me interested in seeing it develop. Overall I think the execution of the Pursuit poster was much better, but still, a nice poster. If I were the designer of the Pursuit poster, I’d be issue a cease and decist order (or suing for copyright infringement or whatever). What a ripoff. Unless it happens to be the same artist. Then they’re just lazy. The Pursuit poster comes from BLT & Associates and the one for Martian Child comes from Concept Arts, so I’m guessing they were made by different people. Looking at the others posters from Concept Arts this one actually stands out as one of the least inspired. They have made some truly strong posters before. Interesting.